With designer boutiques, Michelin-starred restaurants and sensational yachts moored in the glamorous Puerto Banús, Marbella is the very definition of luxury living. Here the wealthy and famous, including the likes of Michelle Obama and Robert De Niro, come to bask in the Mediterranean sunshine and enjoy an unbeatable quality of life. 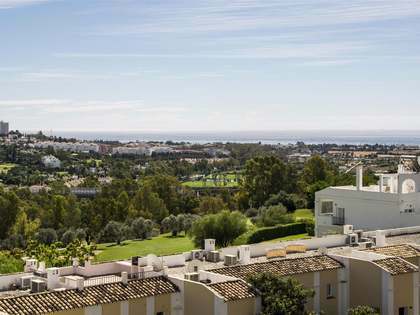 The cosmopolitan nature of the Costa Del Sol, with its excellent amenities such as; private healthcare centres and international schools, make it a popular destination to relocate, both for those with young families as well as retirees. With two airports, a high-speed train service and modern roads, the Costa del Sol has one of the best travel networks in the Mediterranean, making it ideal for international clients who come to the area to enjoy the enviable sunny climate, stunning beaches and the endless opportunities to play golf on any of the world-class courses in the acclaimed Golf Valley. Unsurprisingly often referred to as the California of Europe, the Costa del Sol is awash with fascinating places to visit and stunning sun-drenched landscapes, offering so much to do and discover for all ages. At the Lucas Fox Marbella office we specialise in property for sale in exclusive areas such as Nueva Andalucia, Golden Mile, Benahavis, Sierra Blanca, Camojan, New Golden Mile and Estepona; catering for different types of property buyers, ranging from those looking to buy a holiday home to permanent settlers seeking a more relaxed and healthy lifestyle in the sun. Within these prestigious neighbourhoods we offer high-end properties including new builds with the very latest in home automation systems and luxury finishes, seafront apartments and penthouses with panoramic coastal views, golf properties, as well as luxury villas in very secluded areas or close to the beach, restaurants, private clinics and schools, etc. Always with excellent quality materials and finishes and privileged outdoor space with great views. Our talented and experienced agents seek only the finest Marbella homes for our discerning clients, with a particular focus on privacy and exclusivity; always taking time to understand each individual client’s preferences and requirements in their property search in order to provide a bespoke service and guarantee complete client satisfaction. 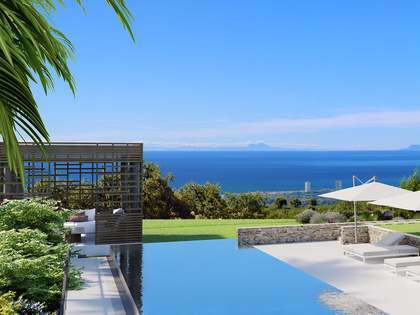 We offer clients the opportunity to acquire the very best homes in the most prestigious neighbourhoods in southern Europe, such as Sierra Blanca and La Zagaleta of Marbella in Benahavis, where a 16,194 sq ft villa was recently sold for just under 9.8 million Euros. Our property profile is always varied and extensive, ensuring that all clients are catered for, regardless of their budget. 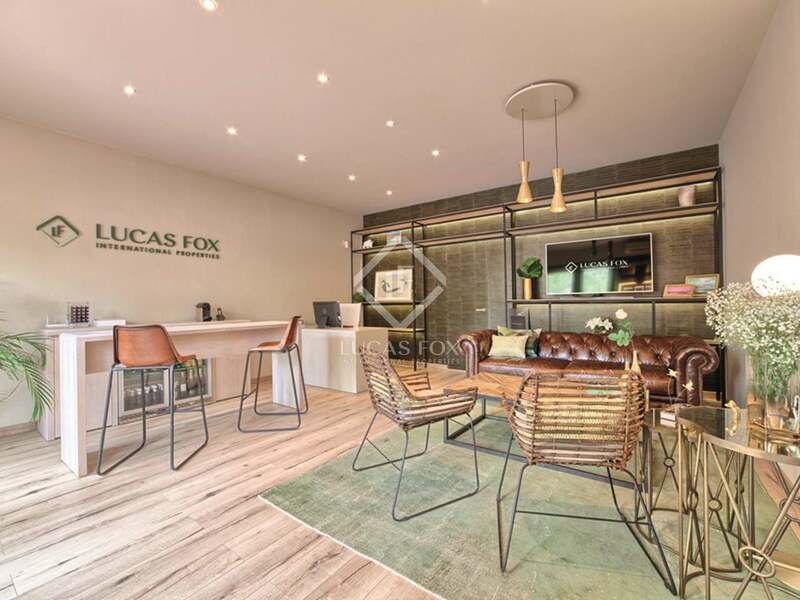 Lucas Fox can accompany and assist you when selecting from our wide range of Marbella and Costa del Sol properties which are guaranteed to satisfy even the most discerning homebuyer's needs. What’s more, our multinational team at the Marbella office can attend you in English, Spanish, Swedish, Serbo-Croatian, Dutch, German, French or German, offering friendly and highly professional service at all times. Feel free to contact us today to begin your property search on the Costa del Sol.